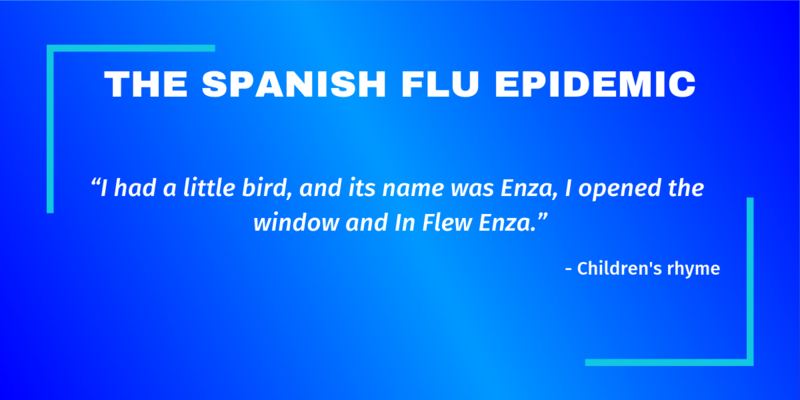 Flu is something that happens to all of us (in fact, as I write this I’m battling the dreaded sniffles, sneezes and aches) so it’s hard to think of it as life-threatening. 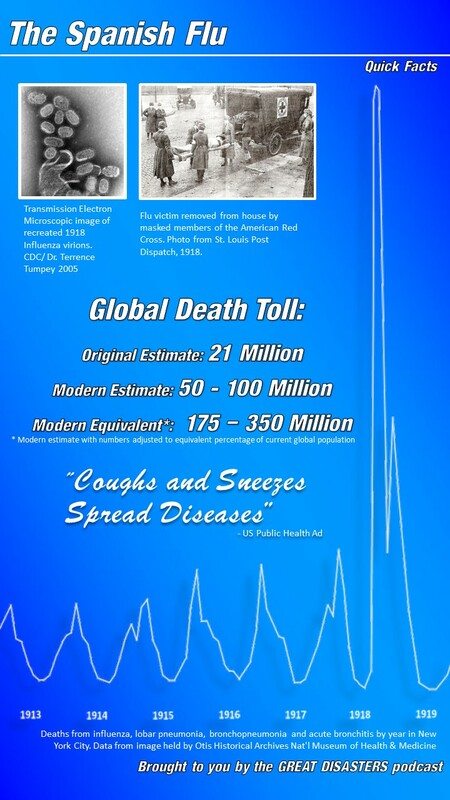 But it really is; worldwide, it’s estimated to cause 290 000 to 650 000 deaths a year. And the scariest thing about it? We never cured it. The most deadly pandemic in history went away by itself. Flu viruses that circulate today are, as I understand it (I’m not an epidemiologist by a long stretch), fairly closely related to the 1918 virus. The virus behind the 2009 “swine flu” outbreak is a particular example; like 1918, it was the H1N1 strain, which prompted fears of an outbreak on the scale of the Spanish Flu, and brought the pandemic of 1918 back to the public consciousness. Those fears were, thankfully, unfounded, but we would be foolish to think the danger no longer exists. What I’m saying is, take the flu seriously; if you or anyone close to you is particularly vulnerable, consider getting the flu jab before you get the virus, and if you come down with the flu, please take good care of yourself and don’t go spreading it around. I’d like to say a special thank you to everyone who has supported me with the podcast so far; particularly to my partner Dany for putting up with me on a daily basis, and to my good friend Mew whose Christmas present will be making a big difference in episodes to come. Thanks also go to my first Patreon supporters, spicyboi and J Fay. Supporting the Great Disasters podcast on Patreon means you can earn exclusive rewards like seeing your name here in future! Time – What Made the Spanish Flu so Deadly?